Champion Roofing, Inc. is a recognized leader in the commercial and residential roofing industry. As a trusted Chicago roofing contractor, Champion Roofing has a complete line of commercial and residential roofing systems to best meet your needs. 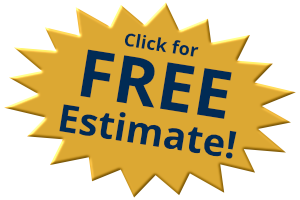 Our dedicated roofing experts are available to help you design your new roof or help with your Chicago roof repair. We are certified applicators for single ply modified bitumen thru Johns Manville & GAF. We offer warranties from 5-30 years on our roof repair & installation services. We are master elite roofing contractors for Duro-Last roofing systems, “The world’s best roof”. We are certified installers for TPO through Carlisle, GAF, and Verisico. Our trained technicians will assure a proper installation or roofing repair on all of our commercial roofing services. We feature high quality shingles in 3-Tab or Architectural Style, from many major manufacturers including GAF Royal Sovereign & Timerberline, Owens Corning, Certainteed, and Tamko. All of our work is done to manufacturer’s specifications. Available in several grades and many colors. Class A fire rated with warranties from 25 to 40 years on all residential roofing services. Don’t trust anyone else for your home’s roofing needs.